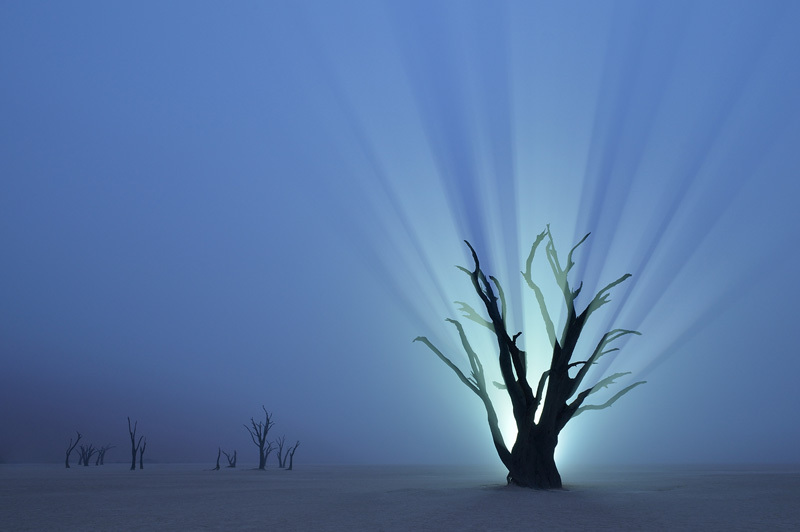 In an effort to create the most original picture ever taken at Deadvlei, Namibia, I decided to combine night photography, fog and artificial light. Easier said than done, because fog only appears a few times a year in this desert area. Using a powerful flashlight I wanted to light one of the trees from behind so that the branches would create shadow beams in the diffused light. On every visit I brought my big flashlight and kept a close eye on the weather forecast, waiting for that one chance. After years of waiting, I finally got my chance - and took it. This image was a winner in the Creative Vision category of the Wildlife Photographer Of The Year Awards.